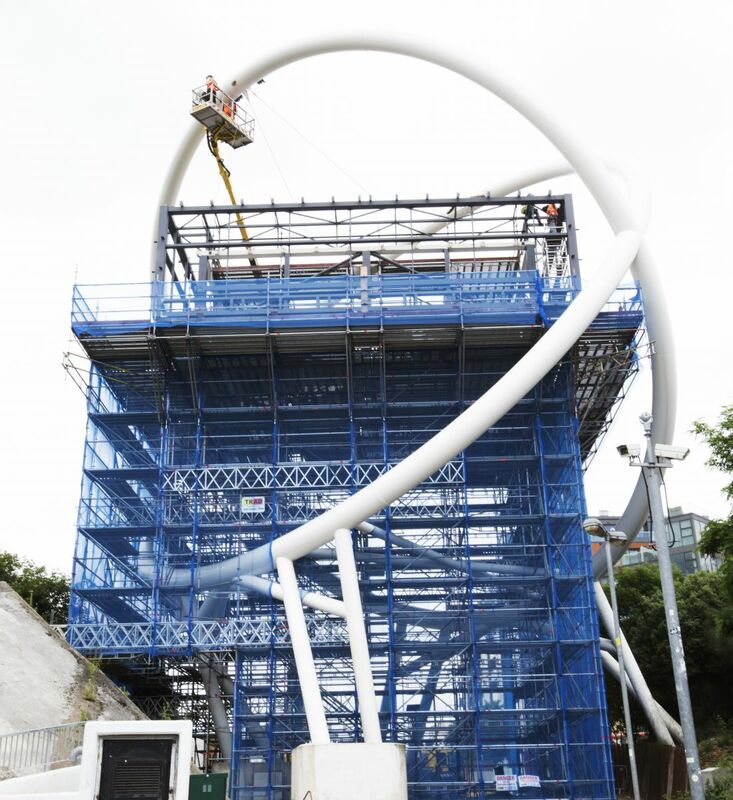 TRAD Scaffolding was successful in securing the contract to upgrade the existing advertising screens suspended 15m above the Wandsworth Roundabout. The works were to replace existing backlit screens with larger digital units. 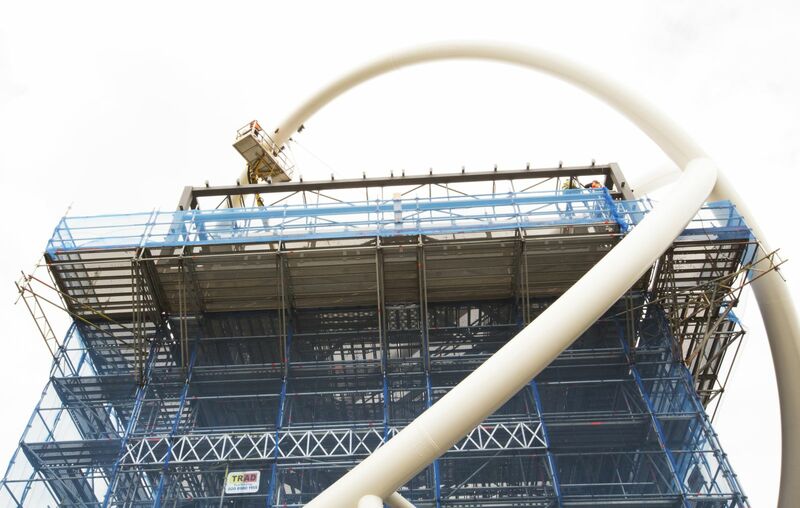 In order to upgrade the steelwork, a heavy duty system birdcage was built to support the existing central unit whilst the suspension ties where removed. Due to the frame weighing in excess of 20 tonnes the scaffold structure required a complex design, with the outside line of the birdcage being cantilevered over concrete banks and shrubbery. 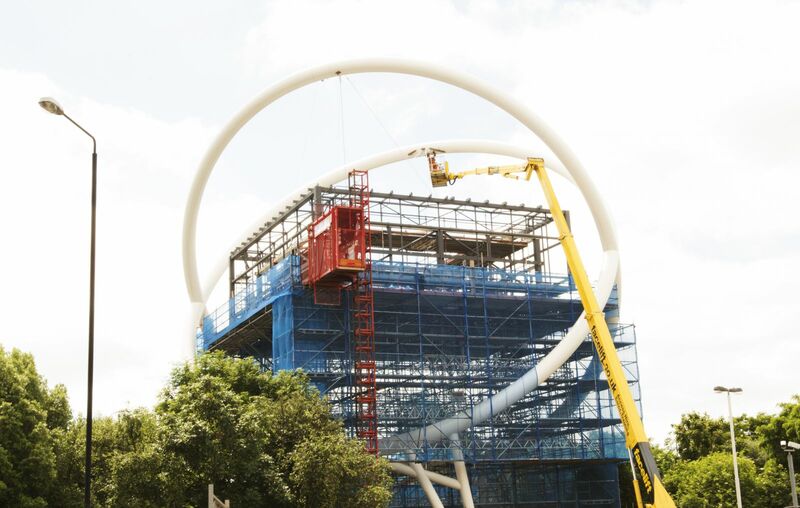 The whole project was extremely difficult and we would like to thank our scaffolders Jozef Bujnak and Garry Kenefick for their hard work and patience.